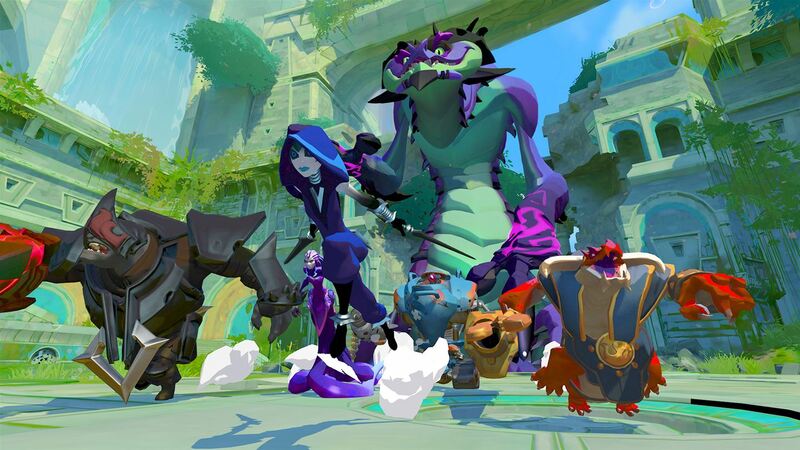 Gigantic is a colourful, cartoony, free-to- play class based, third person shooter/ MOBA in which two teams comprised of 5 players and a huge AI controlled monster called a guardian, battle it out to capture control points, grow in strength, and ultimately prove that their guardian is better than the other guardian, by having their guardian pin down the other, whilst your entire team delivers a massive beatdown on the poor defenceless creature. To begin, you are granted access to a free rotation of playable heroes and can either unlock more heroes by earning and spending in-game credits or simply skip this process by purchasing a starter pack containing 8 heroes (£7.99) or an ultimate pack containing all the heroes (£23.99). eye. An incredible yet devastating play to see. The core gameplay as I mentioned earlier simply revolves around growing your guardian’s power, by getting kills and summoning creatures, until your guardian is powerful enough to attack the other. The aforementioned creatures you can summon have a variety of purposes, ranging from healing your team, to revealing enemy players. 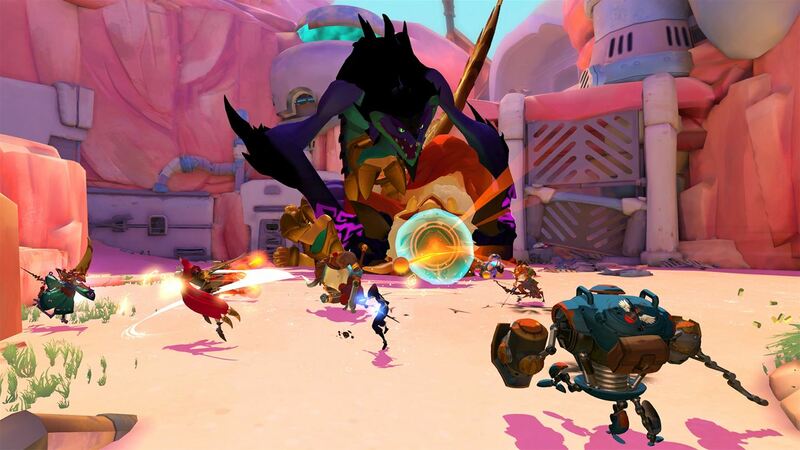 The creatures can also be upgraded by spending your all-important focus power, but be sure to always defend them, as killed creatures can give the enemy guardian a serious power boost. As intense and unpredictable as the game can be, it does have some major flaws, the main one being a lack of content, making the game too repetitive. 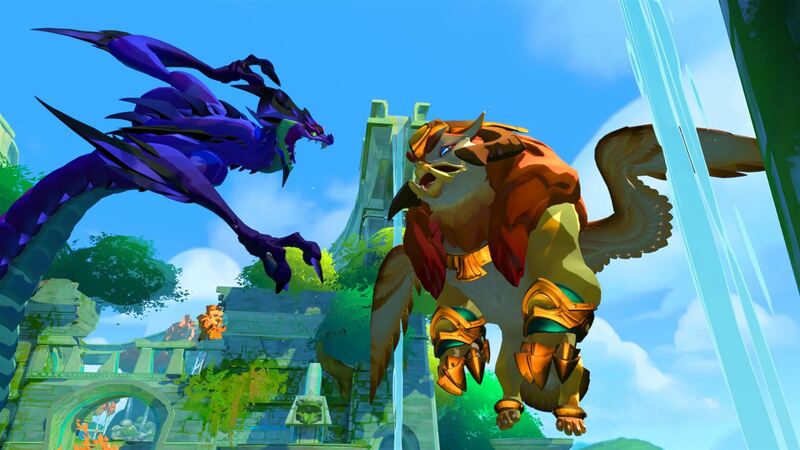 Similar to how Overwatch was at launch with its limited maps and one mode, this game suffers the same fate but on a bigger scale, as the game only contains one mode (Clash) and one arena (The Ghost Reef). I’m disappointed at the amount of content at what is supposedly the full release here, and at this point in time could not recommend putting any money into the game, as varied as the hero gameplay may be. The game simply doesn’t do enough to stand out in the currently oversaturated MOBA genre of games, and certainly didn’t have enough content to hold my interest, sometimes for even a match length, as some matches can be over half an hour long which can get boring, but again, that’s just me, as I prefer shorter multiplayer experiences. In conclusion, the game has the potential to be a successful MOBA with more content added, but I can’t recommend it in its current state.